Blizzard claim that the loot a boss drops is randomly generated by a random number generator. I myself am not entirely convinced this is true. Instead I believe that the loot fairies control what drops and who gets it. Something I did in the past seems to have made them pretty angry but perhaps my luck is changing? Week after week I bound into Black Wing Lair full of hope and excitement. "Maybe this time, I can feel it, maybe this'll be the week!" Drunk with power, I can almost hear their deranged cackling as Chromaggus' corpse rolls over to reveal a pair of Stormrage Pauldrons for the third week running. They'd grin, ear to ear as they watched me hearthstone out in a mist of despair. Look, look at me. I'm amazing. Things changed this week though. My lovely boyfriend and I ventured into BWL on Tuesday to no avail. On Wednesday evening we decided to go back and low and behold the fairies took pitty on me, they finally caved! Oh Transcedence. You're so beautiful. 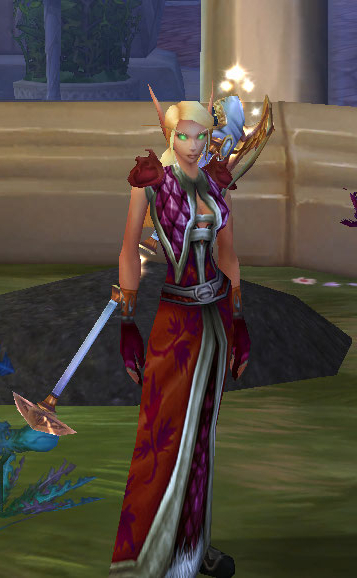 While I don't like the Tier robe. I like it teamed with the Priest Tier 11. Here's a list of everything included in the picture. I don't tend to transmogrify shoes as I'm actually a Draenei. I just use my Orb of Sin'dorei on every Cool down. 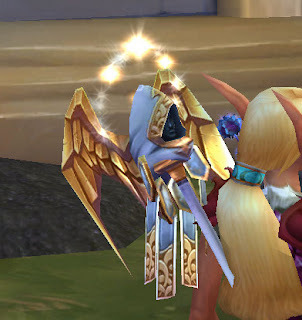 While in the Black Rock area my boyfriend asked if I wanted to tag along to Molten Core as he's after a Binding of the Windseeker to complete his Thunderfury legendary sword. 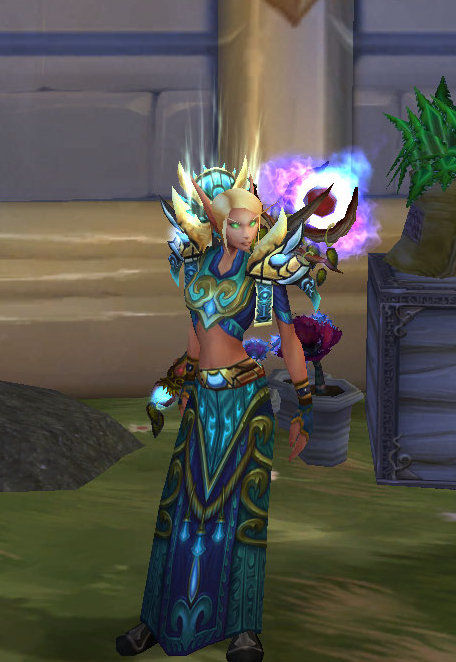 Luck was again on my side when a robe I've been after for a long time dropped. It has a chance to drop off of four different bosses in Molten Core and although I'm Exalted with the Hidraxian Waterlords I'd never seen it drop! This was the robe worn by Lady Katrana Prestor inside Stormwind Keep. Later revealed as Onyxia I had always been jealous of her. I think it's stunning! And probably most importantly I got my Staff of Immaculate Recovery from Black Temple. How's your luck with loot? Are you mercilessly trying to get your hands of an item that just won't drop?